Frequently asked Questions about counselling. 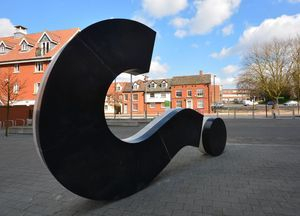 There are bound to be many questions if you are new to counselling. I have attempted to answer a few questions that you may be considering, however if your questions are still not answered please contact me. Is there anything I need to bring to the sessions? During the initial sessions it won't be necessary to bring anything; if paper and pens are needed they will be supplied. Do you make notes of the session? After the session I do make notes, these are kept locked away and are for my personal use. When you receive your Welcome Pack there will be a full explanation of what happens to the notes that are made about you, confidentiality and boundaries . Counselling session are always 50 minutes long. However I always allow a few minutes either side of a session to enable the client to get settled, so please expect it to take the best part of an hour. I would prefer to be texted as this is the most convenient method of communication as I am often in sessions with clients and it would be nice to have twenty-four hours notice. However I know that this is not always possible, so as soon as possible is great. Equally, every endeavour will be made to notify the client A.S.A.P. of any changes to normal sessions. The British Association for Counselling and psychotherapy is a membership organisation that sets standards for therapeutic practice.I am a member and I adhere to their Ethical Principles and and Codes of Practice. In order to offer a safe and competent practice I am required to receive 1 1/2 hours of supervision a month. Supervision is where I see a specially trained counsellor/therapist who I share my cases with. This is to ensure that I am working ethically and safely. Names of clients are never used in these sessions to protect confidentiality. Can I bring someone with me to Counselling? Usually one to one counselling is just you and your therapist. Sometimes it can be difficult to truly share all the things you wish to say when there is someone from your world with you. Part of the way counselling works is the freedom of speech the ability to say what you think totally anonymously. However there are times when a client is especially nervous and apprehensive where it would be appropriate to have another person in session. This can be open for discussion.